After leaving Great Torrington Community School, Seraphina attended Petroc College to study health and Social Care, graduating with a distinction. Using this qualification, Seraphina secured a position in the care sector, where she worked for two years, whilst additionally studying beauty therapy. On gaining her Beauty Therapy Diploma, Seraphina moved to Jersey to live with her boyfriend and started working for the Estee launder companies. 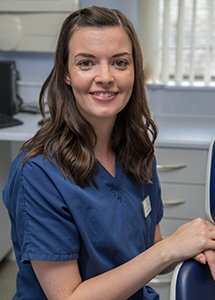 Since returning to Devon, Seraphina has begun her dental nurse training, previously at the North Devon Orthodontic centre, before joining the team at Torrington Dental Practice in 2016 to continue her training.